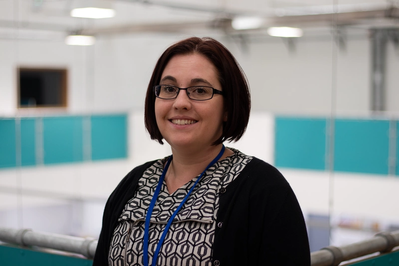 Elizabeth Paull has joined Sonardyne International Ltd. as Business Development Manager to help support and develop the firm’s business within the growing aquaculture and renewables industries, the navigation and positioning technology company announced. Paull, who joins Sonardyne from subsea instrumentation and systems company Aquatec Group, will also focus on other developing ocean industry markets, such as subsea mining, for Sonardyne’s widening portfolio of products. “Increasingly our oceans are being looked at as engines of growth – be it in renewable energy, aquaculture, mineral resources and even biotechnology. Sonardyne’s growing portfolio of underwater acoustic positioning, inertial navigation, wireless communications and sonar technology systems are extremely well placed to serve and support these evolving, growing and important markets,” Paull said. Through her role, Paull will also support Sonardyne customers and develop partnerships and academic research programs focused on the Blue Growth agenda. Paull is a Master of Oceanography from Southampton University and has an MBA from the Open University. At Aquatec, she was Sales and Marketing Director. Her previous roles include working as a research scientist for Thames Water.